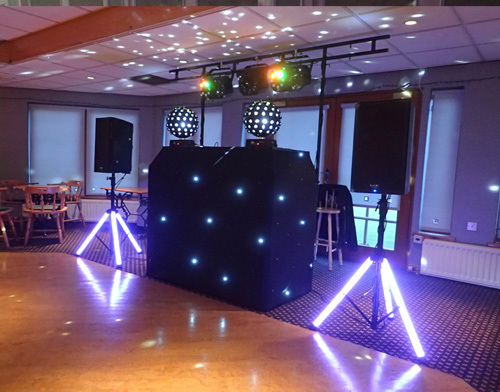 If you are looking for birthday party DJ hire, kids party DJ hire, or event DJ hire services in Helensburgh, Glasgow and the surrounding areas, contact Beano Disco today. 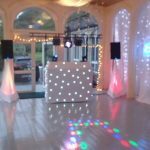 Whether it is your wedding or private function, you want to ensure you are putting your party music in the hands of an experienced and friendly DJ. 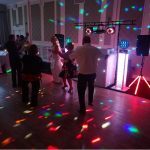 Locally owned and operated, Beano Disco will make sure that you will have the right music and lighting for your party. 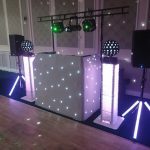 From weddings and birthday parties to kids' discos and wedding discos, we offer DJ hire services for all events. We also provide the audio and visual equipment to suit all venues. Browse through our gallery to check out the excitement. 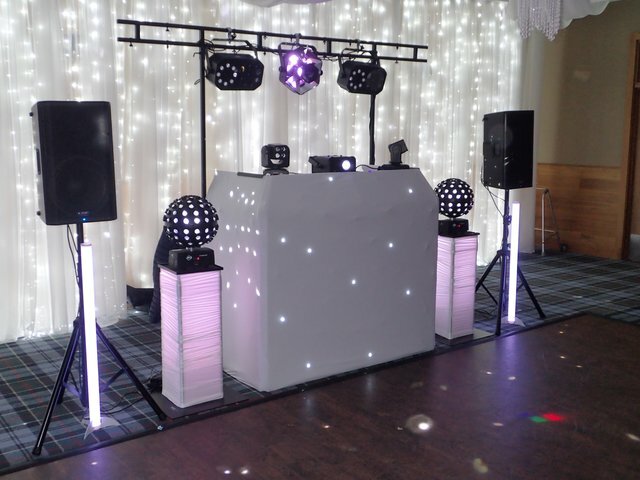 Looking for a Wedding DJ in Helensburgh? 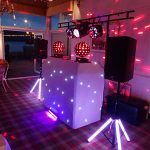 We offer bespoke lighting packages to suit all your tastes. 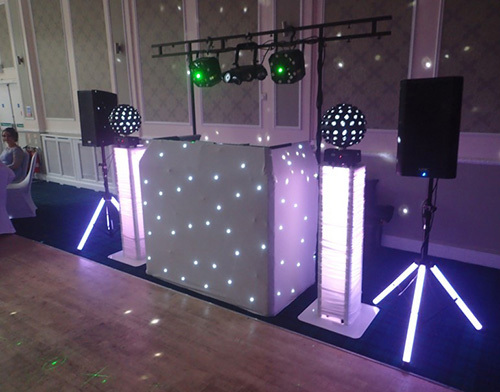 Choose from a black effect with twinkling star LEDs or a traditional white set up. We can also alter our lighting for any colour effect. 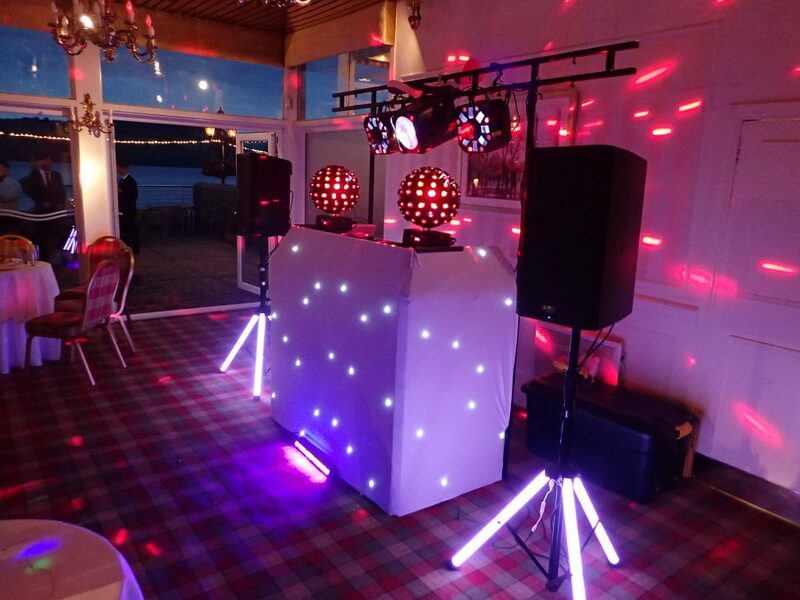 If you are planning to hire an attentive DJ who can play the tracks that you love, Beano Disco is here to provide you with just that. We will sit with you and will have a thorough consultation about the plans you have for your event or party. We bring a high degree of professionalism to any DJ performance at a great price. We have excellent feedback and customer satisfaction reviews on Yell.com. 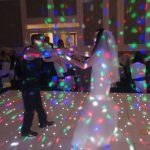 Our experts can tailor your party to whatever style and genre you like. Speak to our staff to discuss your requirements. "Thanks to Andrew of Beano Disco for such a wonderful evening on our 45th Wedding Anniversary celebration. 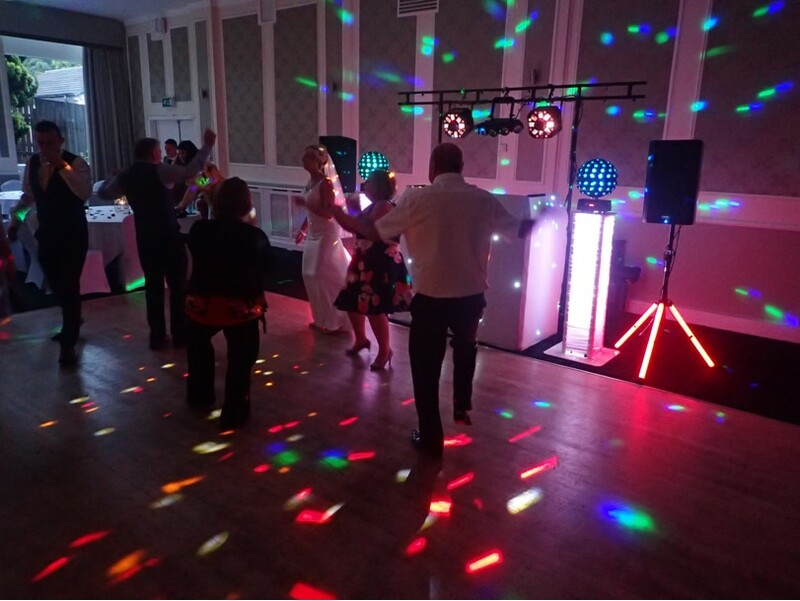 Everyone said the music was great, he played all our requests, and we had the added bonus of him taking pictures of everyone and making them feel welcome – we hadn’t realised that was part of his DJ package. 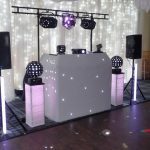 Thanks again to Beano Disco – very professional, will certainly recommend Andrew to anyone looking for a mobile disco." 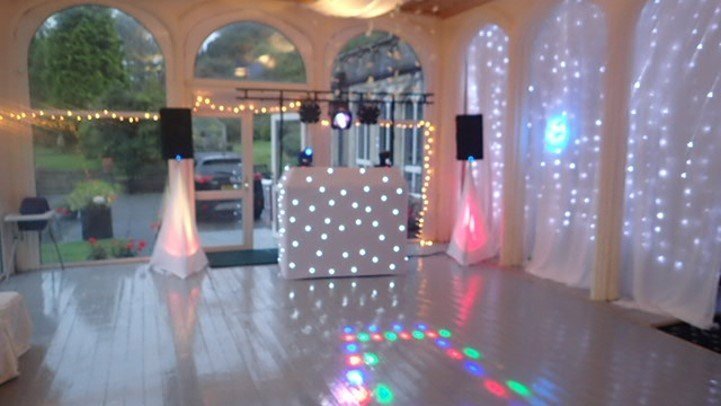 "Andy played for us and our guests at our evening reception..from beginning to end he played the best selection of music taking into consideration any song choices that were requested..I would have no hesitation in recommending his services and would certainly use him again if needed.."
"We hired Beano Disco for our wedding at Lodge on Loch Lomond. Chris was our DJ for the evening and he put on an excellent show for our guests and kept the dance floor busy all night long. Chris and Andy were extremely professional in their approach throughout. Thumbs up and will recommend you guys!" 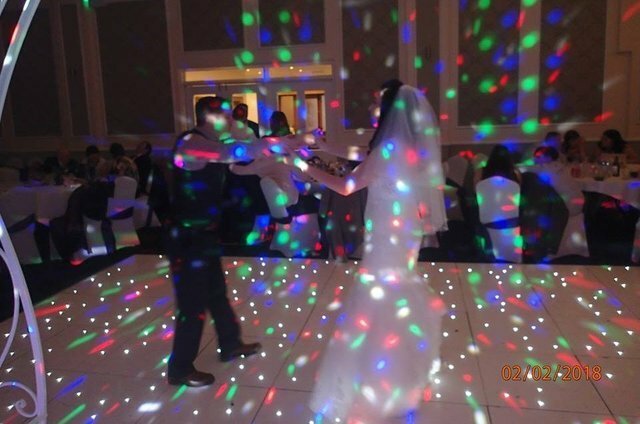 "Absolutely fantastic Dj for our wedding Chris was brilliant....had the best selection of songs and all our requests were played.....can’t fault them at all great communication up to the day....thanks for making our night brilliant :)"
"Andy, thank you so much for the wonderful evenings entertainment at our wedding reception. Set up was amazing and everyone enjoyed the music and dancing. 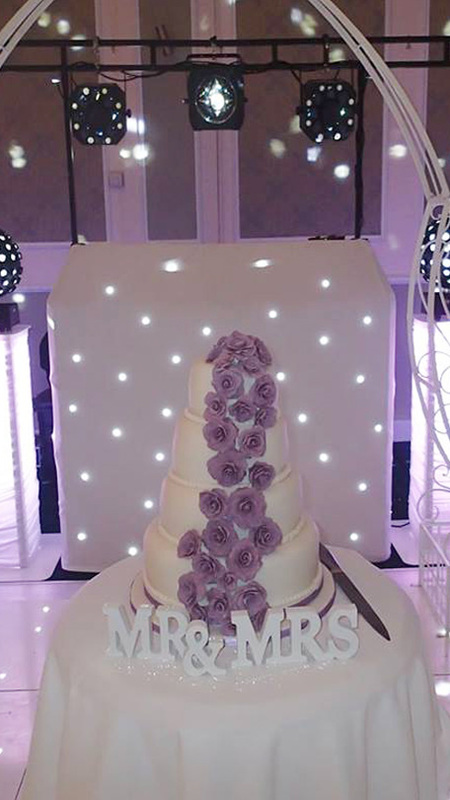 You went above and beyond with taking addition pictures of evening guests and mixing and chatting with guests. Your services were exceptional and much appreciated. I would highly recommend you for any occasion and yes you will be part of my future anniversaries. ..Andrew and I thank you so much"